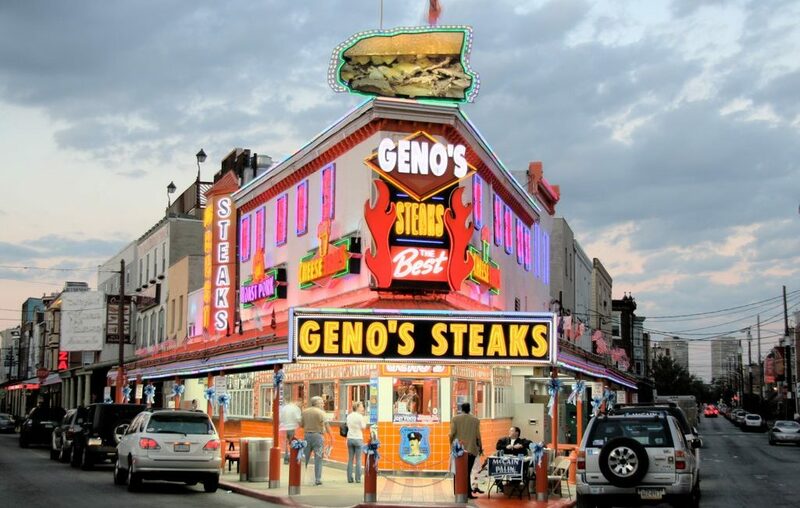 At Geno’s Steaks, we know that we have one of the best cheesesteaks in Philly, and we are very glad that Philadelphia Business Journal knows it, too. In their most recent poll of “Tastiest Philly Cheesesteaks,” our thin sliced steak sandwich was named number four out of 900 other voter nominations. Now that you’re craving a real Philly cheesesteak, stop by our South Philly location this weekend to see what all the fuss is about. We can’t live witout it, and neither should you! Love Geno’s Steaks and want to represent your Philly pride? Check out all of our gear! For the full offering of t-shirts, sweatshirts and more, check out our online store. We accept all major credit cards, including American Express, Discover, MasterCard and Visa. Do you have any questions? Call us 215-574-8100.